Check out these useful ideas for getting more out your art print business. If you missed last week’s post by Andrew Darlow, check it out here. Then read the following for more good ideas on how to create new income from affordable prints in a range of sizes. In Part I of this article, I shared a number of suggestions for using affordable prints to promote your work and earn income. In that article, I touched on some specific examples that I’ve used over the years. This time, I will delve deeper and offer five specific things you can do to promote your work. As in the last article, the primary target group for these tips are those who are currently marketing or selling “high-end” prints, such as original oil paintings, matted photo c-prints, gelatin silver prints on fiber paper, high-quality reproductions on canvas (a.k.a. giclée), or signed pigment inkjet prints on paper or canvas. That being said, anyone interested in using prints to promote just about any visual or performing art can benefit from the information. The two words above can be very powerful and profitable. Much like being chosen as an artist for a series of postage stamps, there is also a sense of prestige attached to having one’s work on a blank card (as long as the quality of the card is very good!). The reason is because greeting cards are often chosen carefully by people who write their heartfelt words in them filled with emotion. Cards then become like a testimonial or endorsement for your work. It’s a bit like forwarding a link to a friend of a beautiful photo or other art that you noticed online, but taken to a higher, much more personal level. To increase your chances of being noticed, include a very small portrait of yourself and a short bio on the back of the card that explains that the image on the front is from a particular series of fine art prints. 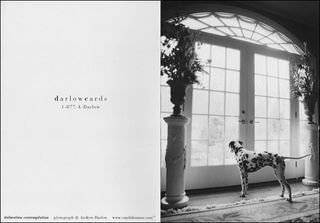 The front and back of one of a series of five cards that I produced as part of a large print run can be seen here. For even better examples, I recommend referring to the layout and text used on the backs of many of the cards distributed by nonprofit organizations for their fundraising efforts. Cards are also ideal for use as thank you notes. If a collector purchases one of your prints, you might send a thank you note to him or her with a similar, but different image on the card. You might even send, as a thank you, a box of 8-12 cards and envelopes. For maximum impact, each card could have a different image on the front. I generally recommend 5×7 inches as an ideal folded card size, primarily because it is a common size sold in stores, nice envelopes are available in bulk at a very affordable cost, and they can be mailed in the USA for the cost of a first-class stamp (currently 44 cents). Nonprofit organizations conduct a lot of fundraising events. One of the most popular ways of raising money is by conducting a silent auction (there are many other names for it as well). In a silent action, the organization collects donations of goods and services from companies or individuals. Those items are then usually displayed on tables. Next to each item is a cup or basket. Attendees/supporters of the charity purchase tickets, and they drop tickets into the baskets for the items in which they are interested in winning. 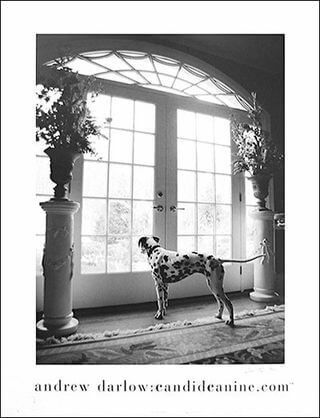 I have helped raise funds for about 10 different organizations over the last 5-10 years through donations of an 18×24-inch signed Dalmatian print (reproduced at the top of the page). I’ve donated as many as five at one time, which was not difficult for me because they were already printed, and they could easily and inexpensively be shipped via a Priority Mail tube. In return, I was able to distribute printed materials, business cards, etc. at the event (either in-person, or the organizer put out the items on my behalf). Nonprofits will also often list companies and their websites on their websites. Here’s a related tip for protecting your prints while allowing the nonprofit organization to easily display your work: To help protect your prints inexpensively, and to make it easy for a promotional sheet of paper with your bio and other information to be inserted with the print (that’s one more tip! ), I highly recommend individually wrapping each print in a clear bag. Crystal clear bags are available in packs of 100 from Clearbags.com and in packs of 10 or 100 from FrameDestination.com. You might also consider framing the print(s), and in that case, I would recommend protecting the art with a see-through heavyweight bag, such as the GalleryPouch Gold bubble bag, produced by FrameDestination.com. Disclosure: I am not an employee of Frame Destination, but I helped develop the GalleryPouch bag with the company after I needed such a product for my large canvas prints. This tip is similar to the one above, but important to note because of the power of raffles/contests and other giveaways. If you give a presentation for a group of people, such as a camera club or civic organization, giving away affordable prints is a great way to collect e-mail addresses so that you can keep people informed of your upcoming workshops, seminars, projects, website updates and other events. The best way I’ve found to make this work is to distribute sheets of paper during the event with a few lines on the top inviting people to write any questions in case there is no time for questions, or if they would just prefer not to ask their question in front of the group. Of course, you would need to be prepared to answer them after the event either via e-mail or phone (or via a group e-mail that answers all the additional questions that people wrote). Below those lines, you would then ask them to check one or two large boxes next to two sections of text. One line has text that asks if they would like to be entered to win one of x number of prints, and the other line has text that asks if they would like to receive your updates via e-mail. I also always include a note that their e-mail will not be shared or sold. This approach also works well anywhere you have permission to put a sample of your work next to a raffle entry box. Examples include trade shows, art installations where your work is hanging, retail stores, etc. Speaking to groups of people, whether during an exhibition of your work, or at a school or other location, is one of the best ways to promote your work and yourself. However, sometimes camera clubs and other groups have a very small budget from which to pay speakers. A specific way to get paid appropriately for your time is to work out an arrangement with a group’s leadership that allows members to pay in advance for a signed print that they can claim and have personalized following your talk. To spur sales and guarantee a certain number of attendees, a lower price can be offered prior to the event compared to the cost of the print purchased at the event. On a similar note, you can contact a media outlet (local or international) and make a certain number of prints available during an interview with you (usually via a random selection of e-mail addresses from everyone who sends you an e-mail with a specific subject line). Or you can set up a special page on a specific website, such as www.andrewdarlow.com/xyzcontest. On that page could be an example of your work, a bio, and a form for people to enter the contest. At the same time, they could request to be added to your e-mail list. Affordable prints are a fantastic gift that can be used in many ways. First, they can be used as a promotional item that is part of a promotion when someone purchases your higher-end prints or art. They can also be used as a gift that is not disclosed, but which you send to collectors as a thank you for choosing one of your higher-end prints. I’ve used affordable prints as gifts for many years. They are a fantastic way to say thank you to someone who really likes your work, or someone who helped you in some way. Like most art, framing an affordable print generally elevates the emotional and perceived value of the print. Though a bit off-topic, framing your affordable prints with a mat is a great idea because you are helping people add your artwork to their life without any extra work (except maybe putting a nail into a wall! ).